There is nothing more comforting than when family members get together in unity. How Beautiful is it when brothers and sisters sit together. Why are we here today? Are we here today To Cry about what happened? Are we here today To do something about it, that it doesn't happen again? What if I were to tell you that the Holocaust is not over? In 1939, there were 17 million Jews in the world, and by 1945 only 11 million. If not for the Holocaust, there would be as many as 32 million Jews worldwide, instead of the current 13 million. To put things into perspective, Hitler ימ"ש killed off 1/3 of the Jewish population. Now, Are you aware that according to the latest Pew study, we are losing more than 2/3's of our people due to assimilation, meaning 2/3 of the current Jewish population are headed for oblivion G-d forbid. As Jews we are always hopeful but these are the facts. It won't help the numbers to be offended by what I am saying. We have been in denial for too long. The Pew Study has found that two thirds of the Jews whom we commonly call "secular or cultural Jews" do not raise Jewish children. To put it another way: Practically none of the American Jews who say that their Jewish identity consists entirely of secular values will have Jewish descendants by the third generation. These families will end, G-d forbid, within the next generation or two, no matter how strongly these Jews profess their Jewish identity, or sincerely want Jewish grandchildren. The fact is that so many of these Jews are not identifying as Jews anymore. The handwriting is now clearly on the wall. I can't help but feel that our priorities are misplaced. While we are building museums to our past suffering, our people are disappearing. 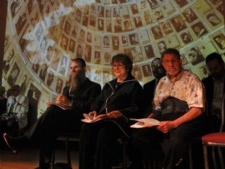 How many more Yom Hashoah programs do you think we will have, here in Brevard, in the future? How many here are under the age of 30 (excluding organizers and volunteers of the program)? Let's consider for a moment, what is Yom Hashoah for? Is it for ourselves?, or is it to honor the 6 million martyrs? What would our grandfathers and other martyrs of the Holocaust have preferred: a monument to their suffering, or the knowledge that their children and grandchildren are living full, rich, prosperous Jewish lives? Would they prefer a museum of an extinct people, or a vibrant Jewish community of Jews. Obviously something must be done to deny a posthumous victory to Hitler by ensuring the survival of Judaism and the Jewish people. Let us remind ourselves why the crisis has occurred. For generations we have neglected Jewish education. The result is that we know little about Judaism, and our children know less. They know about Israel, but that is a place where they do not live. They know about the Holocaust, but that happened sometime else, somewhere else, to people they did not know. They know about antisemitism, but that is not a reason to want their children to be Jewish and thus carry the risk of being exposed to it. They know that Jews like Jewish food, Jewish humour and Jewish friends. But so too do many non-Jews. Why then should our children choose to remain Jews? Let’s not wait until tomorrow to have another meeting to plan another meeting. Let’s all resolve right here and now to start learning Torah 10 minutes a day and resolve do at least one mitzvah in the memory of the 6 million. If it means to get married to a Jew and bring another Jew into the world, SUPER! - you’ve fulfilled the first mitzvah of the Torah as well as replaced one Jew who has been lost in the Holocaust. Or if it means to begin keeping kosher, or to put on tefillin or light Shabbat candles, this is a mitzvah which means you are extinguishing the flames of assimilation and ensuring Jewish continuity. There needs to be a practice of unconditional love for every member of our community. Let our ears be deafened to the sounds of division and fragmentation. Let the walls come down between our synagogues and affiliations. We can’t worry about the whole world Jewry, let’s focus on our community. By embracing every Jew we meet, by loving each individual Jew like our brother, like our own family, with no prejudice, regardless of affiliation or background, we are rebuilding our nation one soul at a time. Rabbi Jonathan Sacks, former Chief Rabbi of the United Kingdom stated: While Hitler ימ"ש hunted down every single Jew in hate להבדיל the Lubavitcher Rebbe, Rabbi Menachem Schneerson led a movement to hunt down every Jew in love. So to sum-up everything I said, in other words: What would you rather have, a 911 Dispatcher who is moved to tears by what has happened, Or a captain with a plan who moves quickly to get the job done? The Previous Lubavitcher Rebbe said: One single Act is better than a thousand groans. Let’s quit the crying and roll up our sleeves and get to work. We’re in the middle of an emergency. Let us Turn Tears into Action, Turn Pain into Good Deeds and rebuild a vibrant Jewish Community one mitzvah at a time. I am from a somewhat traditional Jewish family, and yet the festival of Shavuos is completely unknown to us. We always had Seder on Pesach and fasted on Yom Kippur, but we never did anything to celebrate the giving of the Torah. I would have thought that would be an important event to commemorate. So why is Shavuos the forgotten festival? The reason why Shavuos is the least celebrated Jewish festival is a startling one. It is the least demanding. The easier the festival, the less it is observed. The most difficult festival to observe is Yom Kippur, on which we abstain from food and drink altogether and pray all day. And yet, this rather grueling holyday is the most widely observed. The easiest festival to observe is Shavuos. All that is expected of us is to have a day of rest and eat lots of cheesecake. How hard can that be? And this pleasurable festival is the most neglected. There's a surprising lesson there. We value things that require effort. If something comes too easy, it is taken lightly. But if it's demanding, it is more compelling. A tough diet will be taken seriously. A difficult work project will be given more attention. We invest ourselves where we feel what we are doing actually matters. When we are given serious responsibilities we step up to the role. You would expect the opposite to be true. Indeed, there have been well meaning voices in Jewish history that have suggested that the best way to stem the tide of assimilation is by easing the laws of Judaism to make it more appealing. It makes sense. Lower the bar, lighten the burden, and people will be more willing to stay Jewish. But the result was the opposite. The Jewish movements that demanded less from their constituents have more often than not been a gateway out of Judaism rather than a way in. Quite simply, if Judaism asks nothing of me, then that's what Judaism will get. We don't need to dilute Judaism to make it attractive. We just need to make it accessible. Jewish souls are thirsting for a Judaism that will ask something of them, demand their allegiance to a higher cause, stretch their minds to think deeper, challenge them to live with a sense of purpose and mission. Perhaps this is one reason why the kabbalists introduced the custom of staying awake all night on Shavuos. Just eating cheesecake was too easy. Let's ask ourselves to give something up on Shavuos to show that it really matters to us. Fluffy Judaism is a tranquilliser. A demanding Judaism keeps us wide awake. Will Kabbalah Drive You Mad? I grew up hearing that to learn Kabbalah you have to be married, over forty, and an accomplished scholar. Otherwise you will go mad. Yet these days it seems everyone and anyone studies Kabbalah. So is what I heard not true or have the rules changed? Or have we all gone mad? The origin of the belief that Kabbalah study is dangerous seems to be a Talmudic tale. There were four rabbis who shared an out-of-body mystical experience, where their souls wandered off into the higher realms. They were Ben Azzai, Ben Zoma, Elisha ben Avuya and Rabbi Akiva. Each of these scholars was impacted differently by the experience. For three of them, it was not a happy ending. Ben Azzai died. Ben Zoma went mad. Elisha ben Avuya lost his faith. Only Rabbi Akiva was able to internalize and process this mystical experience, and come back down to earth unharmed. They all shared the same vision, yet they were impacted so differently. When we analyze some biographical details of these four scholars we can understand why. Ben Azzai was a permanent bachelor. He refused to get married, feeling that having a family would interfere with his spiritual life. His celibacy left him unattached to the here and now, so when he tasted the bliss of heaven he didn't want to come back. He had nothing to come back for. So he didn't. He died. Ben Zoma was a promising young scholar. But he was undeveloped. He didn't have the maturity and stability to handle such high levels of revelation. His gifted but unripe mind was overloaded, and he went crazy. Elisha ben Avuya was a brilliant man. But he had a weakness. He mingled his Kabbalistic ideas with concepts from Greek philosophy. He diluted the purity of the Torah by trying to fit it into worldly wisdom. And so in the end his confused spirituality led him astray, he misunderstood the visions he saw and became a non-believer. Why was Rabbi Akiva different? We know about Rabbi Akiva that unlike Ben Azzai, he was married. We also know that unlike Ben Zoma, he was mature. This is derived from the fact that until he was forty, he could not even read Hebrew. It was his wife Rochel who inspired him to start at the beginning and learn Torah from scratch. And unlike Elisha ben Avuya, he studied Torah in purity. So from Rabbi Akiva we learn that safe entry into the mysteries of Kabbalah requires the maturity and groundedness of a married scholar who is over forty. Anyone else who dares to wander into the esoteric orchard risks losing their mind, or their faith, or even their life. So can young, unripe and uninitiated novices study Kabbalah? Absolutely. Because there is a difference between Kabbalistic study and Kabbalistic experience. These three scholars were harmed because they were experimenting with out-of-body journeys, using divine energies to enter higher worlds. You've got to be a Rabbi Akiva to dabble in that. But studying the wisdom of Kabbalah is a different story. It doesn't matter so much who is learning Kabbalah, the question is more who is doing the teaching. If you have a good teacher with authentic training, you can study Kabbalah anytime. If you plug in to the right sources, Kabbalah won't drive you mad. On the contrary, it will give you some spiritual sanity in the mad world we live in. For more on the study of Kabbalah, be sure to check out our Kabbalah section online by clicking here. When it comes to the Pesach Seder, I always get stuck in the ten plagues that were visited on the Egyptians. The Nile River turns to blood, the land is covered in frogs, the people riddled with lice. It all sounds a bit weird. Why would the Almighty G-d afflict a people with these particular plagues? He could have just zapped them, and yet He sends them....frogs?! I too have been baffled by the plagues, especially the frogs. It is a bit incongruous, like calling a football team "The Roosters." It just doesn't sound so menacing. You can only understand the plagues if you listen to how G-d Himself described them. He told Moses, "I will smite the Egyptians and bring justice to their gods." G-d was not only punishing the Egyptian people for enslaving the Israelites, He was also smashing the Egyptian value system, their false gods. People rarely do evil thinking that it is evil. Most villains believe they are doing good, because their value system is so twisted as to view darkness as light, justify evil as good, and explain wickedness as righteousness. So G-d wanted to not only afflict the Egyptians, but to strike the source of their immorality. Each plague was an attack on the core beliefs of Egypt, the beliefs that led them to drown Israelite babies and become the most immoral society of the day. Let's look at the three examples you mentioned, the river turning to blood, the frogs and the lice. The Egyptians worshipped the Nile as a god, for the Nile was their source of irrigation, livelihood and wealth. Thus the Nile represents materialism to the extreme, making a god out of money. That's why it was afflicted first. Where money is god, blood will flow. The frog was another Egyptian deity. It was the god of fertility. Having children is a noble goal, but for the Egyptians, children were no more than a power base, and being fruitful like a frog meant expanding your clan and extending your influence. When children are seen as frogs, then humans have lost their humanity. But it was the third plague, the plague of lice, that forced the Egyptians to recognize that the finger of G-d was at play. The Egyptian sorcerers were able to replicate the first two plagues through black magic, and so they weren't convinced that they were being divinely punished. But when lice swarmed over every Egyptian, they lifted their hands up in defeat. This is because as powerful as Egyptian sorcery was, it could not impact something as small as a louse. Egyptian spirituality dealt with big things, major issues, not minute details. They didn't give importance to the small things. They couldn't affect a louse. We left Egypt and its ugly beliefs behind, to embrace a value system that was its polar opposite. Money is not a god, merely a means to do good. Our children are not trophies, but rather souls entrusted to us by G-d to care for and pass on our values. And the little things do matter. Most of our life is made up not of dramatic choices and big events, but of small details and subtle choices, and they all make a difference. So on Pesach we go through the ten plagues, and reflect on the values that made Egypt into oppressors, the values we left behind, and the values that have kept us coming to Seder for three thousand years. I am in a tricky situation. My sister and her husband are spending Chanukah with us. Her husband is not Jewish and so they usually celebrate both Chanukah and Xmas with their kids. They would like us to do the same this year. Should I have a tree and a family Xmas celebration in my home to accommodate my brother in law? I know he would do anything to accommodate us in his home, but I don't really want my kids celebrating Xmas. Am I being unfair? The family home is an identity factory. It is in here that experiences are shared that form the picture of who we are. And children need a clear identity. The one thing kids cannot tolerate is ambiguity. If they are given mixed signals and wishy-washiness at home then they will seek identity from the outside, like TV or their friends. If you as parents want to be the ones to impart identity to children, then you need to be clear about your own identity in your own home. For children to have a positive Jewish identity they must know who they are, and be proud of it. You need a good reason to be different when living as a minority in a welcoming society. But to celebrate a non-Jewish holiday, especially with their own family in their own home, is confusing and unsettling. We should teach our children to respect other cultures, but that doesn't mean actively celebrating them. You are not being unfair in insisting that your home be exclusively Jewish. The fact that your sister and brother in law would accommodate your practices is in keeping with the way they have chosen to bring up their children. For them it is not a contradiction to incorporate Jewish practices in their home. But this is not the nature of your home, and so it is wrong to expect you to change your home's atmosphere for them. Some think that this is a closed-minded and narrow view. They believe we should embrace all cultures and religions, and expose our kids to as much variety as possible to let them choose their own identity. But the truth is, if we give our kids a taste of every culture, we are actually giving them no culture. You can only be truly open to others when you are clear about your own identity. Give your kids a clear sense of self, and they won't feel threatened by others. When they can confidently say, "I know who I am," they can be secure enough to ask, "And who are you?" Who Will Wipe Away Our Tears? A tragedy beyond comprehension, beyond words, but not beyond tears: the ruthless and determined murder of four innocent civilians, among them three young children. A teenager remains in critical condition, may he recover fully and speedily. We, worldwide Jewry, wept with our French brethren as the horrific details of the Toulouse massacre emerged. Rabbi Jonathan Sandler, 29, shot dead with his two sons, Gabriel and Arieh, ages 4 and 6. An infant daughter who will never know her father and brothers. Who can fathom the pain of Mrs. Sandler, bereft of her husband and two children in just minutes? Her grief, her pain, her sorrow, her loss – we are all asking, How could this happen? How can this be? Beautiful, eight-year-old Miriam Monsonego, merrily on her way to school to play with her friends, to study, to laugh – like any other morning. Brutally murdered, the heinous terrorist actually checked to make sure she had stopped breathing, then shot several more bullets into her small, delicate body just “to be sure.” Her father, Rabbi Yaacov Monsonego, principal of the school, forced to grapple with the tragedy on two fronts: personal and communal. What can we do but cry? At the age of 57, her aunt had a stroke and became unable to see to her own basic care. She was placed in a nursing home and on one particular visit, Edith noticed a beautiful young woman, also a resident in the home. She began to converse with her, and discovered that the young woman was paralyzed from the neck down. Her cognitive functioning was not affected in any way, but she had been more or less abandoned by those around her. She expressed her difficulty needing to ask for help to eat and bathe and dress; all the things we take for granted. Forty-five years later, Edith still tears up when she tells the story. 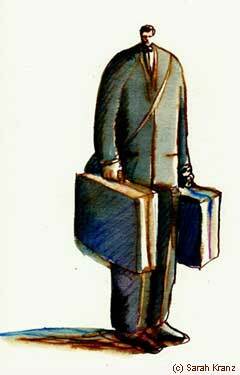 Sixty-eight years ago, on May 18th 1944, my grandfather was deported from Hungary with his wife and two daughters, Esti, 4, and Zlata, 7. Pushed out of the cattle cars at Auschwitz, Dr. Joseph Mengel immediately sent the children to the left and their parents to the right. Their mother refused to part with her children and within hours the three of them had been murdered: gassed and cremated. My grandfather survived the war a broken man. He married a fellow survivor and together they had three children, one of whom is my mother. My grandfather never spoke about his experiences at Auschwitz. I never saw him cry. I never saw a tear on his face. I know he had vivid memories 50 years later because I used to hear him scream in his sleep. The suffering he experienced is indescribable, his grief inconsolable, his misery unspeakable. This week my brother, Dovid Vigler, a Chabad Rabbi in Florida, dedicated a new Torah to the shul. The Torah was written and dedicated in memory of my mother’s two half-sisters, Esti and Zlata, who perished in the holocaust years before my mother was born. I watched my mother cry as the Torah was dedicated. But I also watched her wipe away her tears. She cried for those two little girls, whose lives were so brutally and prematurely ended. She cried for their mother who preferred to die with her children than live without them. And she cried for my grandfather who was left alone; shattered and devastated. She cried for the tears he never shed in his lifetime. This Torah represents the ultimate and meaningful wiping away of my grandfather’s tears. A Torah, the holiest item in Jewish practice, a scroll which will be used weekly, used to perform Mitzvot and bring more light into the world, this is how we helped wipe away those tears. And while we can never truly wipe away the tears of our French brethren, of Mrs. Sandler and Rabbi and Mrs. Monsonego, of their family and friends, each mitzvah we perform, each resolution we make, will help begin to wipe our tears. Where better to start than with a prayer for the young man still fighting for his life, Aharon ben Leah, and for the emotional recovery of all the Toulouse children and families. Let’s keep them in our hearts and minds, let’s pray for them and dedicate our mitzvoth to their recovery. May we merit to see the coming of Moshiach right now! Do You Delete My Emails? When I send out my weekly e-mail, there are usually three types of reactions. Reaction number one is from people who actually read the e-mail and then comment on what a wonderful message it held. The second response is from those who argue that the message is in fact not a message at all because it makes no sense. 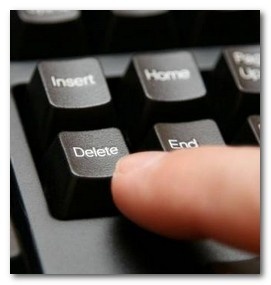 And the third reaction is to simply hit delete upon arrival. In fact, when delivering a sermon, I see the exact same thing: some listen attentively, others argue back and the third group hit the snooze button as soon as I start to talk. At first glance it would seem Sancheriv is the worst of the lot based on his constant cursing. But in actual fact, Pharaoh far surpasses him, for his denial is based on a total lack of acknowledgement of G-d. Sancheriv was at least affected by G-d, no matter if that effect was negative. It works exactly the same way in a marriage. The worst reaction to a shouting spouse is to ignore him or her for a week. Because when you shout back, at least you acknowledge each other, ignoring the spouse is in actuality denying their existence. It reminds me of when I would stand in the streets of New York City, offering pedestrians to don Tefillin. Some people would immediately acquiesce. Others would shout and curse me out for interfering with their lives. But worst of all were the people who would simply continue walking, pretending they had not heard a word I had said. 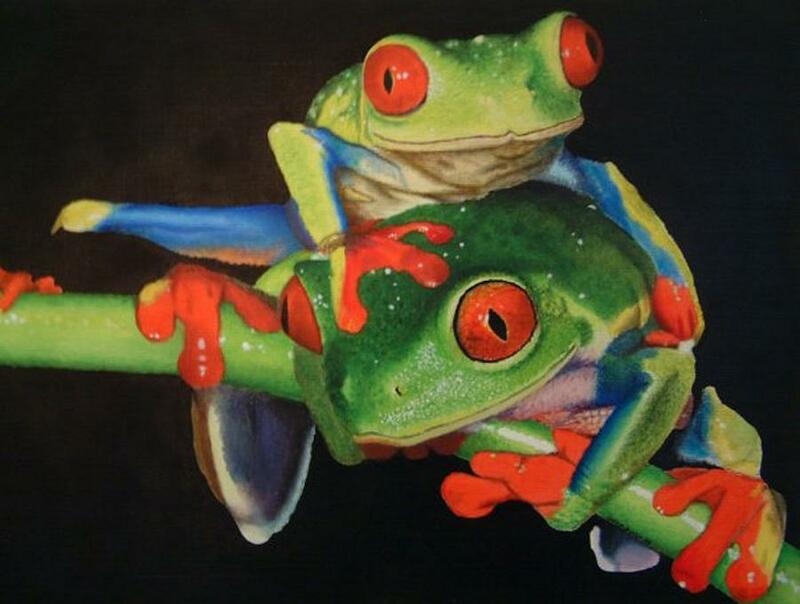 This is why G-d brought frogs upon Egypt. Because the beastly kingdom is also divided into three categories: first are dogs and cats that are loveable animals as well as useful to man; the second type comprises poisonous animals that at least say something about creation, and the third category includes animals whose existence seems totally pointless. Such as frogs. Not good, not evil; simply harmless, bland creatures. Judaism is the antithesis of Egyptian culture. For a Jew to thrive, he must be driven by a passion, powered by an engine of holiness. As such, the Jew’s worst enemy is apathy, or lack of interest - the defining element of the Egyptian empire and its plague of frogs. Wishing you a great Shabbos! P.S. I hope you will join us this Tuesday for Lesson One of “Money Matters – Wisdom of the Ages on Today’s Economic Crisis”. Do Your Hate Your Brother? One afternoon a man came home from work to find total mayhem in his house. His three children were outside, still in their pajamas, playing in the mud with empty food boxes and wrappers strewn all around the front yard. The door of his wife's car was open, as was the front door to the house. Proceeding into the entry, he found an even bigger mess. A lamp had been knocked over, and the throw rug was wadded against one wall. In the front room the TV was loudly blaring a cartoon channel, and the family room was strewn with toys and various items of clothing. In the kitchen, dishes filled the sink, breakfast food was spilled on the counter, nosh was all over the floor, a broken glass lay under the table, and a small pile of sand was spread by the back door. He quickly headed up the stairs, stepping over toys and more piles of clothes, looking for his wife. He was worried she may be ill, or that something serious had happened. He found her lounging in the bedroom, reading a novel. She looked up at him, smiled, and asked how his day went. He looked at her bewildered and asked, "What happened here today?" "Jacob arrived whole to the city of Shechem (1)," the Torah states in this week's portion, Vayishlach. What a gift it is—to be whole, complete. To feel wholesome, unified, integrated, holistic. How many of us can claim to be whole? How did this happen? What was the secret behind Jacob's "wholeness" at this time? He had been married for years, he had many children, and he was a successful man. He had garnered much wealth and he has dealt successfully with many an adversary. What transpired at this moment which conferred upon Jacob this condition of "wholeness" (2)? In fact, nowhere does the Bible describe a human being in such a way—that he or she was "shalam," whole (3). It is an extraordinary description for a human being, who from the genesis of time, is characterized by duality, fragmentation and conflict. Apparently, something extraordinary occurred in the life in Jacob, which made him whole, precisely at this juncture of his life. There is no escaping the juxtaposition between this statement—“Jacob arrived whole”—and the preceding scene in the Bible. In the previous scene, Esau finally made peace with his brother Jacob. After decades of estrangement, hostility and ire, and the fear of outright war between the brothers, they had at last reconciled, even if they would not live together. It is a profound development. Twenty-two years earlier Esau vowed to murder Jacob, “The days of mourning for my father are near; then I will kill my brother (4).” Now, as they are about to meet again, we stand posed anticipating a harsh encounter. Upon hearing that Esau is approaching him with a force of four hundred men, Jacob is “very afraid and distressed (5).” He devises an elaborate defense, including a strategy for war. “Esau ran toward him, embraced him, fell upon his neck, and kissed him. And they wept.” There is no anger, animosity or threat of revenge. Peace has at last descended upon the Abrahamic family. (7)The next scene in the Torah reads: "Jacob arrived whole…"
The message to us seems clear; You may be a wonderful, accomplished and successful individual, but as long as you are not on speaking terms with your own sibling, you will not be whole. As long as a family is torn by mistrust and conflict, none of its members can be whole. You may be right or wrong in your arguments, but as long as the conflict lingers, you will remain broken. We cannot make ourselves whole, nor can we mend the world, if we lack the courage and vulnerability to create peace within our own families. The family is the nucleus of civilization. George Burns once quipped that happiness is having a large, loving, caring, close-knit family in another city. It is often easier to get along with the "whole world" than with your own family. But it is only through family harmony that we can achieve genuine wholeness in our lives. 2) See Rashi and other commentators for their perspectives on this novel biblical expression about Jacob's condition. 3) Chronicles 2, 15:17 does use this term, but in a different context. 7) See Toras Chaim Vayishlach p. 43 how profound is the unity between Jacob and Esau in their source and how this kinship was expressed during their encounter. "And G-d descended to look at the city and tower which the sons of man built, and G-d said, '...Shall it not be withheld from them all they proposed to do?...' G-d scattered them across the face of the earth, and they stopped building the city." This is a strange story. Why did G-d interrupt their project? What was their sin? Their motives for building a city with a tower "whose top shall reach the heavens" are quite understandable, even noble. Mankind was only just reconstructing itself after the Flood, which had wiped out the entire human race, save for Noah and his family. Noah and his children were, according to tradition, still alive, thus giving the people a first-hand report of the Flood. If fledgling humanity were to survive, they needed to construct a strong city and tower that could possibly avoid the next disaster. What was wrong with their scheme? Hasn't the Bible made it a moral imperative to "Be fruitful and multiply, fill the earth, and subdue it (2)"? Subduing the world never meant obliterating nature, or despoiling the environment. It meant responsible stewardship and making ourselves less vulnerable to nature through every possible natural mean. Why did G-d disapprove of their seemingly wonderful undertaking? One of the possible answers is this: In stating their objective for creating the city and the tower, the people declared, "Let us build for ourselves a city and a tower whose top shall reach the heavens, and let us make a name for ourselves." Their motive behind this dramatic construction plan was to immortalize their legacy in concrete structure; the endurance of their names in the annals of history. But what's the big deal? Who among us does not crave to be remembered? Who among us would mind securing a place in Who's Who? How many of us would crave to read about ourselves in the newspapers or on the websites (as long as the name is spelled right)? How many of us really loathe seeing our names carved in glory on concrete walls, on the printed page and in the lasting pages of history books? Does G-d really care that much if people want to make a name for themselves? The answer is simple. When you have observed a flood in which the entire human race has perished, have you nothing else to think about but securing for yourself a name and a legacy? Imagine somebody gazing at a home swiftly being consumed by a flood. Instead of running to rescue the people inside the home, this person stands and reflects how he can be sure to make a name for himself in the process. This would be grotesque. Can't you ever forget about your ego? Is there never a moment you are capable of saying to yourself, "Forget my legacy! Human lives need to be saved!" There are such people. They are PR addicts, at all expenses. A tragedy strikes and their only concern is: How do I use this to make a name for myself? How do I seize the opportunity to get my name out there yet again? These people usually need help. Their inner core is all-but-dead. In the long run, it is likely to harm their PR too, since they have nothing truly “inside” to give and display to the world. When an entire generation has observed the consequences of a Flood that destroyed virtually the entire human race and becomes consumed instead with how to secure its legacy rather than with how to rebuild civilization and recreate a world founded on moral goodness and kindness, something is profoundly wrong. A worm has crept in to the very foundation of the project, and will ultimately prove destructive to the entire edifice. Corruption, manipulation, deceit and abuse of power are likely to flourish in the new city and tower. This is true of every grand campaign undertaken to help humanity. If the objective is self-aggrandizement rather than service to G-d and His children, the very core is tainted. And the consequences of this blemish will likely be manifested in the future. Six decades ago our people experienced the greatest “flood” in our long and bloody history, with the murder of a third of the Jewish people, including one-and-a-half million children. Hundreds of communities were systematically wiped out and nobody uttered a pips. In the aftermath of this titanic destruction, there were those who succumbed to basic human nature and asked one question: How do I make a name for myself as a grand leader, activist or visionary? But there were others who had one question on their mind: What do I do to rebuild a shattered people? In our own lives we often observe people whose lives have been destroyed by a “flood,” in one form or another. Our question at such a time must always be: How do I rebuild a broken heart? How can I ignite a tortured soul? How can I help a survivor? How do I bring more light into a dark world? How do I increase acts of goodness and kindness? What new mitzvah can I undertake to heal the world? How do I extend myself to be there for another person? What can I do to change my corner of the world and make it a more moral and holy place? What will I do today and tomorrow to move our aching planet one step closer to redemption? 3) Published in Likkutei Sichos vol. 3 pp. 750-753. Why Are You Waving Branches Around? Right and left represent Chesed and Gevurah, the power of love and the power of discipline. G-d, like a parent, can be loving and can also be strict. Sometimes G-d's light shines on us, other times we feel left in the dark and have to find our way through on our own. Whether things are good in life or things are tough, it is all coming from G-d. He knows exactly what we need, and that's what we get. Up and down symbolize the highs and lows of life. When we feel we are on top of the world, we need to remember that G-d put us up there. When we feel down in the dumps, we need to have faith that G-d is with us there. There is no success without help, and there is no failure without hope. So the four species are waved around, to recognise that G-d is everywhere, in the good and the bad, in the ups and the downs, in the uncertain future and the turbulent past. And in the middle of all that is you. You are doing the waving. Because ultimately, G-d will be there for you in all you do, if you only let Him in. A new teacher was trying to make use of her psychology courses. She started her class by saying, "Everyone who thinks he's stupid, please stand up!" After a few seconds, little Johnny stood up. The teacher was surprised, but realized this was an opportune moment to help the poor child. "Do you think you're stupid, Johnny?" she asked. "Why do you feel so my dear child"? "No, ma'am," Johnny replied, "but I hated to see you standing there all by yourself!" Some time ago, during a visit to Israel, I traveled to the twin mountains of Gerizim and Ebal, to stand on the soil my ancestors treaded 3,280 years ago, during a historic moment when they had just entered the Promised Land. Located in the north of Israel, in the area known today as Samaria (Shomron), towering over the city of Shechem (Nablus) and the gravesite of Joseph, the two majestic mountains dominate the horizon for the many Jewish settlements located in that area (1). As I entered into the wellspring flowing on Mt. Gerizim for a spiritual pre-Sabbath cleansing, I closed my eyes, and allowed my imagination to take me back more than three millennia, to the time when the Jewish people, according to Moses' instructions in this week's Torah portion, Ki Savo, gathered atop these mountains shortly after their entry into the Land in order to rededicate themselves to the ethical values of Torah. These were Moses' instructions to the people in the book of Deuteronomy (2): "When Your G-d brings you to the land, to possess it, you shall deliver the blessing on Mount Gerizim and the curse on Mount Ebal." Later in the Bible (3), Moses is more specific. Six tribes were to ascend Mt. Gerizim, while another six tribes were to ascend Mt. Ebal. The elders of the Levites were to stand in the valley between the two mountains. They would loudly pronounce 12 basic moral commandments of the Torah. As the Talmud explains (4), turning their faces to Mt. Gerizim, the Levites declared that fulfilling these commandments would bring blessings, to which all of Israel responded Amen. Then, turning their faces to Mt. Ebal, they declared that violating these commandments would cause detriment, to which all of the tribes again responded with an Amen. In Moses' words (3): "The Levites shall speak up and say to every man of Israel in a loud voice... 'Accursed is the man who will make a graven or molten image, an abomination of G-d... and the entire people shall speak up and say 'Amen'... Accursed is the man who degrades his father or mother... Accursed is the one who steals the property of his fellow... Accursed is one who causes a blind person to go astray on the road... Accursed is the one who perverts a judgment of a proselyte, orphan or widow... Accursed is the one who has intimate relations with the wife of his father... Accursed is the one who has intimate relations with any animal... Accursed is the one who has intimate relations with his sister... Accursed is the one who has intimate relations with his mother-in-law... Accursed is the one who strikes his fellow stealthily... Accursed is the one who takes a bribe to kill a person of innocent blood...'"
"Then Joshua built an altar to G-d, G-d of Israel, on Mount Ebal, as Moses, the servant of G-d, has commanded the children of Israel (6)... All of Israel and its elders and officers and its judges stood... half of them on the slope of Mt. Gerizim and half of them on the slope of Mt. Ebal, to first bless the people of Israel." This was a profoundly dramatic moment in our early history. Entering for the first time into their homeland, the Jewish people, atop these two mountains, defined their mission statement as a people, rededicating themselves to the novel and revolutionary system of biblical ethics still unheard of in that milieu of cannibalism and pagan feasts of child slaughtering. According to the Talmud, it was at that moment that the Jewish people accepted shared duty for each other as a single spiritual organism (6*). Another fascinating fact I observed is that although the two mountains are closely situated to each other, and subject to the same rains and climates, Mt. Gerizim is green and fertile, while its neighboring Mt. Ebal is tark white rock and barren. This is easily observable, perhaps a result of Ebal being designated as the mountain of curse (7). Yet the obvious question is, why the need for two distinct mountains in order to proclaim the benefits of loyalty to the Torah ethic and the detriments resulting from abandoning the Torah? Why couldn't the entire ceremony be performed on one mountain? Even if all of the Jews could not fit on a single mountain, why were blessings directed toward one mountain, while curses directed to another? The answer seems to be uniquely relevant to our age. With the vivid visualization of two distinct mountains, separated by a valley, one of blessing, the other of curse, the Torah is attempting to convey the message that life can and should be divided into two distinct pathways: one path as a source of blessing and growth; the other as a source of curse and devastation. A very real gulf separates the moral life from the immoral life and it ought not to be obfuscated (8). With this clear designation of a mountain of blessing vs. a mountain of curse the Bible is rejecting the notion that the true progressive personality is open to all kinds of people, all kinds of lifestyles, all ideologies, all choices. According to this modern-day ethos, the primary enemy is the person who cannot be tolerant to all forms of behavior, the individual who believes that some deeds are absolutely blessed, while others are absolutely cursed. In the introduction to his book "The Closing of the American Mind," the late Chicago University professor Allan Bloom argued that higher education in the U.S. has failed democracy and impoverished the souls of today's students. The great virtue of the day, he wrote, became the unshakable belief that all truth is relative, and that no one idea or moral value is truer than any other. Openness to every culture and tolerance of every idea has become the greatest insight of our time. The notion of absoluteness, naturally, became the great foe of our times. The true believer is the real danger. The study of history and culture taught the youth of today that the greatest evils of the past came from people who thought they were absolutely right. Our mission today was not to correct the mistakes and learn what is really right, but rather to abolish the very concept of right and wrong. Everything became right. What right, students continue to ask, do I or anyone else have to say that one way is better than the other? In Bloom's own words: "If I pose the routine questions designed to confuse them and make them think, such as 'If you had been a British administrator in India, would you have let the natives under your governance burn the widow at the funeral of a man who had died?' they either remain silent or reply that the British should never have been there in the first place." "On the morning of Sept. 11, my entire college campus huddled around television sets, our eyes riveted in horror to the images of the burning, then falling, Twin Towers... But by Sept. 12, as our shock began to fade, so did our sense of being wronged. Students' reactions expressed in the daily newspaper and in class pointed to the differences between our life circumstances and those of the perpetrators, suggesting that these differences had caused the previous day's events. "Noticeably absent," she wrote, "was a general outcry of indignation. These reactions, and similar ones on other campuses, have made it apparent that my generation is uncomfortable assessing, or even asking, whether a moral wrong has taken place. My generation may be culturally sensitive, but we hesitate to make moral judgments." This is a tragedy raging in American campuses across the country. The fact that so many otherwise intelligent university students cannot recognize some actions as objectively evil, despite differences in cultural standards and values, is not only philosophically problematic, it is practically dangerous and suicidal. If we cannot define anything as evil, we cannot stand up to it. We then ensure its victory. If hijacking planes and killing thousands of civilians is not objectively bad, what then can be deemed evil? If blowing up two buses filled with civilian men, women and children, blowing to pieces ten or twenty innocent human beings-as Hamas has done for years in Israel-is not absolutely evil, what is? Three thousand and two hundred years ago, the Torah taught us that some acts constitute blessings; others constitute curses. They ought never to be equated. They ought to be distinguished not only conceptually, but also physically. They could never be associated together in one domain. An absolute, though narrow, gulf separates the two. Distinguishing good from bad is not an act of arrogance, peasantry or a display of closed-mindedness. It is the only way to purge our beautiful world from militants who slaughter people who do not adhere to their beliefs. Have We Become Too Tribal? A man goes out with a woman on their first date. For the first three hours he talks only about himself, his history, accomplishments and interests. Finally, he turns to her and says: "Enough of me speaking about myself; let me hear what you have to say about me." The rabbi was hospitalized recovering from a heart attack when the president of the congregation visited him. He said: "Rabbi, I have good news and bad news." "First the good news" the rabbi said. "On behalf of the board of directors I am here to wish you a speedy recovery." "That’s wonderful" said the rabbi, "and what’s the bad news?" "The vote was 7 to 6." This week's Torah portion, Shoftim, communicates the following commandment (1): "You shall not erect for yourself a pillar. This is something which the Lord your G-d despises." The most basic biblical commentator, Rashi (2), explains this as a prohibition against erecting an altar of a single stone, even if the intent was to use this altar as a place where offerings were presented to G-d. Though the Torah elsewhere (3) clearly allows the existence of altars made of stone in the Holy Temple in Jerusalem and in the Tabernacle in the desert, Rashi explains that this is only true of altars made of many stones, not of a single stone (4). Yet one wonders about the logic of distinguishing between an altar built of many stones that is deemed desirable by G-d vs. an altar built of a single stone which the Torah defines as an object of G-d's hate. Does it really make a difference whether you present an offering on an altar of one stone or of many stones? Rashi explains that the difference is not intrinsic but historical. In the times of the Patriarchs, Rashi writes, they would build single stone pillars for the sake of presenting offerings to G-d, and "it was beloved by G-d." However, once the Canaanites adopted this practice and began building single-stone altars for idolatrous offerings, G-d rejected them (5). Yet the question remains, why did the Canaanite idol worshippers embrace thesingle-stone altar? Logically, the converse should have occurred: An altar of many diverse stones seems consistent with the polytheistic approach—worshipping many diverse gods—while an altar made of one piece is more reflective of the monotheistic Jewish faith that insists all worship must be directed to a single, universal G-d. Why did history dictate that the pagan polytheists embraced the single-stone model? What this prohibition against the single-stone pillar may be teaching us is that though there is one G-d, the altars constructed by man to serve Him need not—Indeed should not—be of one stone, of one color, or one dimension, shape and quality. Perhaps the greatest challenges facing humanity today is the ingrained belief by many a Muslim that those of us who do not embrace Islam as a faith and a lifestyle are infidels who need to be converted or killed. Many Muslim leaders are laying the groundwork for a grand war between Islam and the West (and of course Israel), in order to restore the world to its appropriate equilibrium, a world dominated by Islam. On another level, and in a far more subtle and fine way, one of the challenges facing many Jewish communities today (a challenge that has pervaded the history of all religion from the beginning of time), is a sense of tribalism that found a nest among many devout Jews. This is the feeling that my way of serving G-d is the only true way, and if you have a different path, you are on the "wrong team." Many of us feel that in the construction of the "altars," the structures in which we serve G-d, there is room for only a single stone, a single path, a particular flavor and style, to the exclusion of anything else that does not fit our religious imagination or upbringing. Yet, paradoxically, it is precisely the path of paganism and polytheism that invite a singular altar, made of one stone, while the monotheistic path of a singular G-d welcomes the diverse altar, made of many distinct stones. Why? Paganism is founded on the notion that a human being creates god in his own individual image. When G-d is a product of my image, that G-d is inevitably defined by the properties of that image. Since no two human images are identical, it follows that your god, the god of your image, cannot serve as my god as well. My god must be worshiped in my way, based on my perception of who he is and what he stands for. Therefore, my altar must be constructed of one stone: my own. The faith of Israel – the progenitor of Christianity and Islam – on the other hand, declares the oneness of G-d and the plurality of man. The transcendental G-d of Judaism is the G-d, who not only transcends the natural universe, but also the spiritual universe articulated in every single heart, and who imparts fragments of His truth into every human spirit. The challenge set forth by Judaism is to see G-d's image in one who is not in my image. Judaism teaches that every person knows and feels something no one else does. None of us knows all the truth and each of us knows some of it. Like a symphony composed of many notes, each of us constitutes an individual note in the divine symphony, and together we complete the music. If G-d wanted you and me to experience Him and serve Him in the same way, one of us would be superfluous. Diversity within religion is not only a factor we must reluctantly accept; it is a cause for genuine celebration. It grants us the opportunity to encounter G-d, since it is only in the face of the other that we can discover the part of G-d that we lack in our own face. The result of a relationship with a transcendental G-d is a growing appreciation of people's differences, not merely as tolerable, but as the essence of a rich and rewarding human and religious experience. “Diversity is the one true thing we all have in common, celebrate it every day,” a wise man once said. There is a profound truth to this: Diversity is the trace of an undefined G-d on the human species. This may be the reason the Torah teaches us that the altar to worship G-d must be constructed from many different stones. This represents the Jewish vision that the structures constructed by man to serve G-d ought to be diverse and individualistic (6). This does not mean that G-d condones every act done in His name. The G-d of the Bible created absolute universal standards of morality and ethics that bind us all. At times, people allow evil choices to totally eclipse the trace of G-d within them. To the Jewish people, G-d presented an absolute system of Torah and mitzvos. Yet within this framework, every human possesses his or her unique path to Truth. One of the great masters put it this way (7): "The concrete laws of Torah are the same for us all, but the spiritual experience of Torah, the feelings of love and awe, contain infinite pathways, one for each person, according to his individual identity." We may compare it to the 88 keys of the piano that lend themselves to infinite combinations. Authentic religion must welcome, not fear, diversity and individualistic expression. When you truly cultivate a relationship with G-d, you know that in the presence of other-ness, you can encounter a fragment of truth that you could never access within your own framework (8). 2) Rabbi SholomoYitzchaki lived in France and Germany during the 11th century. His classical commentary on the Bible and the Talmud turned him into one of greatest and most cherished Torah figures in the history of Judaism. 4) This is the difference between the Hebrew expressions "Matzavah" vs. "Mizbach." Matzavah is an altar made of a single stone while mizbach is an altar built of many stones. That is why the tombstone erected on a grave is called in Hebrew a Matzavah, since it is made of a single large stone. The reason that tombstones in cemeteries are permitted is because they are not used as altars for offerings, but as monument for the dead (see Midrash Hagodol to this verse. Cf. Abarbanel here). 5) Rashi here from Sifrei section 146. 6) This may be the deeper reason why during the time of the Patriarchs the single-stone altar was welcome and used. For during the time of the Patriarchs, prior to the development of the Jews into a nation, each of the Patriarchs embodied a particular mode in serving G-d, which became the paradigm of service in that generation. 7) Tanya chapter 44. Cf. introduction to the Tanya. 8) This essay is based on Mei Haseloach vol. 1 to Shoftim 16:22. LikkuteiSuchos vol. 18 ParshasKorach and the references noted there. See also LikkuteiMoharan I, 34:4. As we approach the 10th anniversary since the 9-11 terror attack on the World Trade Center, I wish to share with you the story of an interesting 9-11 diary. This diary can shed light on the ongoing struggle between the West and radical Islam. The world is swimming in Adolf Hitler's bloodbath. In a few days, the Germans will capture Kiev, capital of the Ukraine, and massacre 100,000 innocent human beings in a ravine named Babi Yar. On this day—9/11 1941—in Arlington, Virginia, the U.S. Department of Defense starts construction on its new headquarters, the Pentagon. Nobody imagines that sixty years later, on 9/11 2001, the free world would be struck again. Radical Islamists would crash planes into the Pentagon and the Twin Towers, murdering thousands. The idea the Lubavitcher Rebbe presented in his journal on this day is worth on reflecting today. The Bible states in this week’s portion (Reah): “This may you eat of all that is in the waters: everything that has fins and scales, you may eat. But anything that has no fins and scales, you may not eat.” (2) For a fish to be kosher, it needs both fins and sclaes. “If so," asks the Talmud, "the Torah could have written only 'scales,' without having to also write 'fins?’” If a fish which has scales inevitably has fins, why the need for both signs? The Talmud answers: Said Rabbi Abahu, and so it was learned in the study house of Rabbi Ishmael: “This is so that the Torah should be increased and made great." This is a strange answer. Where is the logic in presenting fins as an identifying sign for kosher fish when it is totally irrelevant and inconsequential, since scaled fish inevitably have fins as well? How does this make the Torah greater? Also, why are fins and scales the characteristics that distinguish kosher fish? What is special about these two identifying signs to deem fish suitable for Jewish consumption? The Rabbis and Mystics teach that the physical attributes of fish, and of all animals, reflect their psychological and spiritual qualities. They further explain that the food a person consumes has a profound effect on his or her psyche. Therefore, when one eats the flesh of a particular creature, the “personality” of that creature affects the person in some way. Fins and scales too embody two qualities embedded in the souls of these types of fish that are necessary for the healthy development of the human character. When the Jew consumes the substance of such fish, he becomes a more "kosher" and refined human being. When he consumes fish lacking these characteristics, it may dampen something of these vital qualities. Scales, the "armor" that shields and protects the body of the fish, represents the quality of integrity, which protects us from falling prey to the many pitfalls that life presents. A man of integrity will not deceive his customers, despite the apparent financial profits involved. He will not tell a lie to a friend despite the short-term comfort gained by doing so. He will not cheat on his wife, despite the tremendous temptations experienced by many a male. Integrity means that you have absolute standards of right and wrong and that you are committed to a morality that transcends your moods and temptations. Integrity preserves and protects your life and your soul. Which of these two qualities is more important to cultivate in life—fins or scales? What ought to be the main function of education? Should we concentrate primarily on providing our children with the confidence and skills necessary for them to become productive and accomplished human beings? Or ought we to focus more intensely on raising children of high moral standing, concentrating more on how they will live rather than on how they will make a living? The Talmud teaches that all fish that have scales also have fins. But there are fish that have fins but do not have scales, and are thus non-kosher. On a deeper level this symbolizes the idea that a human being who possesses fins may still lack scales and thus remain "non-kosher." He might swim and frolic through large seas and oceans with his talent and genius, but his achievements may be corrupt, hurting others in the process. Creating ambitious and confident children does not guarantee their moral uprightness and integrity. Our present financial crisis is the result of people who had fins but no scales. On the other hand, the Talmud tells us that all fish with scales have fins. If you teach your children to approach life with truth and honesty, with an unyielding commitment to morality and decency, this child will certainly succeed and develop "fins" as well. Regardless of his or her degree of intellectual prowess, they will find the "fins" with which to advance in their learning and their achievements to make the world a more beautiful place. "If so," asks the Talmud, "the Torah could have written only 'scales,' without having to also write 'fins'." On a deeper level, the Talmud is asking, why is it important to emphasize the need for fins in developing a "kosher" human being? Why does an emphasis on ambition constitute part of a moral and "kosher" education? Why not just focus on integrity and ethics? The Talmud’s answer is marvelous: "This is so that 'Torah be increased and made great.'" This means that our spiritual mission consists not only of professing integrity and morality, but also of developing our full potential materially and spiritually. G-d wants us to be good; but He also wants us to be successful and shine; to utilize all of our talents and resources to transform the landscape of our planet into an abode for the Divine; to make the Torah “great and large.” The light, majesty and depth of Torah must penetrate the entire world and turn it into an oasis of goodness and holiness. The events of September 2001, like those of September 1941, dramatically altered our view of the world. Both ushered in a new era of violence, bloodshed, grief and terror. The first by Nazi Germany; the second—by radical Islamists. Yet the roots of the two wars were very different: The Germans personified a culture possessing fins but no scales. Their ambitions, achievements, and love of life were impressive; yet their morality and sense of ethics were horrifically skewed. While they loved and nurtured their dogs, appreciated poetry, philosophy, and scientific advancement, they sent millions to die in gas chambers. September 11th 2001, on the other hand, was perpetrated by people with a deep faith and commitment to the will of Allah, yet with a hate for all progress and advancement. They died for what they believed to be the ultimate in morality and holiness; yet their perception of G-d was horrifically skewed: theirs was a god who wanted them to die, as long as they can kill others. Many young Muslims are being taught today to develop scales but no fins: to surrender their lives to Allah, without appreciating that G-d wants them to live, and not to die; to build the world, not destroy it, and to respect other peoples, not blow them up. To create a “kosher” world, we need scales, but we also need fins. Muslim leaders, parents and educators must begin to teach their youth to love their own lives more than they hate the lives of others. They must discover that the love of G-d does not require a love for blood. Israel is once again reeling from a savage quadruple terror attack near Eilat, which claimed the lives eight Jews and wounded dozens more. The twenty terrorists involved in the attack came from Gaza and smuggled themselves into Israel via Egypt. Next month, the Arabs are reportedly preparing to present their bid for United Nations membership, with Palestinian Authority president Mahmud Abbas personally presenting the request to UN Secretary General Ban Ki-moon on the first day of the annual opening gathering at UN headquarters in New York, September 20, 2011. If 150 states recognize the Palestinian state, a moment after the declaration Mahmoud Abbas and his comrades will be telling us: Now that we are an independent state entitled to do whatever it wishes, we shall import missiles, rockets, cannons and whatever else we want. Today’s attack—on the eighty-third anniversary of the Hebron Massacre in August 1929 (on the 18thday of AV) which claimed the lives of 67 Jews—took place in the Negev desert, far from Israeli heavy population centers. Now think about the reality of a Palestinian State only 10 miles from Tel Aviv, governing around 350,000 Israelis living in the territory of this new State? How should Israel preempt this potential crisis? What should be the position of the Jewish people? How should Prime Minister Netanyahu confront this situation? Let us attempt to gain perspective, as we embark on a journey through biblical thought, Talmudic wisdom, Zionist doctrine and the facts on the ground. In Deuteronomy, in this week's Torah portion (Eikev), the Bible instructs us to bless G-d after eating a satiating meal. "You will eat and you will be satisfied and you will bless your G-d for the wonderful land that He gave you (1)." Thus was invented the ritual of "benching" (Yiddish for blessing), or "grace after meals," recited after every meal of bread, and consisting of a number of sections, or blessings. In the first blessing we express gratitude for the resources G-d created in the world to nourish His creatures. The second blessing is a thank you for the beautiful land that He gave the Jewish people. In the third, we give thanks and pray for Jerusalem. These three blessings were fashioned to echo the biblical injunction "You will eat and you will be satisfied and you will bless your G-d for the wonderful land that He gave you," linking gratitude for a meal with gratitude for the soil which produced the meal (2). Yet there is a strange law associated with this ritual. The Talmud states (3) that the second blessing, in which we express our gratefulness for the land, must include a few words about the Covenant G-d made with the first Jew, Abraham. In this Covenant, recorded in Genesis, G-d promised Abraham that He would give the land of Canaan as an inheritance to his descendants (the circumcision of every Jewish male baby represents this Covenant). What is more, in this blessing we must also make mention of the Torah, the divine constitution for the Jewish people, which promises -- scores of times -- the land of Canaan to the Jews. In other words, the sages are suggesting, it is necessary not only to thank G-d for the beautiful land itself, but we also must articulate the source for our rights for this land: the Abrahamic Covenant and the Torah. Hence, the standard version of the grace after meals: "We offer thanks to You, Lord our G-d, for having given us as a heritage to our ancestors a precious, good and spacious land… for your Covenant which you have sealed in our flesh, and for Your Torah which You have taught us." The Talmud is so emphatic about the inclusion of these two concepts—the Covenant and the Torah—that it states (4): "Whoever did not mention the Covenant and the Torah in the blessing for the land (the second blessing in the grace after meals) did not fulfill his obligation." This person must repeat his grace after meals. This seems strange. The Bible merely states, "You will eat and you will be satisfied and you will bless your G-d for the wonderful land that He gave you." The Torah just wants us to express appreciation for the land. Period. Why the absolute necessity to mention the Abrahamic Covenant and the Torah? What is wrong with a simple offering of thanks for a beautiful national homeland? In fact, the Israeli national anthem, adorning countless Jewish functions over the past 63 years, does just that. It speaks of "the 2,000 year old Jewish hope to be a free people in its land, the land of Zion and Jerusalem." It makes no mention of G-d's Covenant with Abraham or the Torah as the moral grounds for establishing the modern State of Israel. This seems like a rational approach. Why mix religion and statehood? For a democracy to flourish, liberal pluralism must be maintained. Church and state need to be separated. Introducing biblical notions into the Zionist endeavor would only undermine Israel's success as a liberal democracy. Yet the Talmudic rabbis, 1,700 years ago, apparently understood something about the Jewish psyche, and Middle Eastern politics, which may have eluded the founders of modern Israel. The contemporary political conversation has many of us convinced that if Israel would withdraw to its pre-1967 borders, Palestinians will at last make peace with the Jewish state. All the Palestinians really want is independent nationhood. Hence, the praise in the world and Israeli media for the Gaza evacuation in August 2005: It is a step in the right direction, the beginning of the end of Israeli occupation, the first mile in a road toward reconciliation and co-existence. Yet these hopes totally insult Palestinians by making mockery of their explicitly stated dreams and beliefs. Their words, repeated by their leaders time and time again, leave no room for doubt. “All of Palestine belongs to us,” is the Palestinian message. Palestinian leader Abbas said that the Gaza departure was the beginning of a process that would result in all of the Arab refugees returning to their homes of pre-1948. That is why there was no peace before the 1967 war, a time of no Jewish settlements and no settlers. Gaza belonged to Egypt, the West Bank and East Jerusalem to Jordan, and the Golan Heights to Syria. Why did six Arab countries decide to invade and exterminate Israel? Because, in their belief, the entire Zionist entity is illegal. All of Israel rests on occupied Arab land. According to the Koran, Jews have no right to establish a self-governed homeland on Islamic soil. This is why following the Gaza evacuation exactly six years ago, Israel did not enjoy a day of serenity from the new residents of Gaza. Instead of showing the slightest appreciation for Israel ceding all of Gaza, thousands of rockets have been launched with the intent to murder as many Jewish civilians as possible. The terrorists today infiltrated Sinai from Gaza. There has not been a single Jew in Gaza nor any Israeli occupation in Gaza for six years. Why the drive to murder as many Jews as possible? Have you heard any Muslim leader suggest that Jews are not, by their very existence on Middle Eastern soil, occupying land that does not belong to them? Only when Israel ceases to exist will the occupation cease. Which is why ceding Gaza and even all of the West Bank and Eastern Jerusalem to Palestinians will not bring about peace. Peace will not come about by Israel giving away territory. Peace will arrive when responsible Arab leaders will reform Palestinian culture so as to not see the Jew as the "devil" and Israel as the "enemy of Allah." Peace will come when the world, instead of pressuring Israel to cede territory, pressures Palestinian educators and parents to teach tolerance, respect and civil morality. Till that day comes, Israel's giving away of land will only intoxicate Palestinians with the hope that their agenda of freeing all of Palestine from the Zionist enemy is doable. The Obama administration is apparently not daunted by the “minor” detail that half of the eventual “Palestine” is controlled by the terrorist group Hamas, which clearly states its objective to exterminate all of Israel. Is this the State the UN will embrace next September? Yet here is what makes this apparently straightforward idea so complicated. If Muslims in Detroit would begin blowing up busses or pizza shops and demanding a Palestinian State in Michigan, no one would question America’s right to eliminate the terrorists and not cede even an inch of land to them. When an enemy is driven to destroy you, you must eliminate it. The reason Israel is treated so differently is because many see Israel as "partners in crime:" Some Palestinians may be terrorists but Israel, too, shares in the guilt. It is an occupying state. No one doubts that Michigan belongs to the United States. Hence, their right to fight for it and squelch any attempt to seize it. However in the case of Israel, the question persists, does Israel have a right to defend itself while dwelling on stolen property? Where exactly does Israel draw the line and declare, “From here on we are legal?” And based on which moral grounds can these lines be drawn? The distinction between post-1967 Israel and pre-1967 Israel is popular but mythical. The Arabs say that all of Israel is occupied. We must confront the painful truth: If the Jews living in Gaza, West Bank and Eastern Jerusalem are occupiers, then the Jews living in Tel-Aviv, Yaffa, Haifa and Rosh Pinah are the same occupiers. Many a city in pre-1967 Israel used to be Arab settlements, now occupied by Israel. According to Arab doctrine, Jews, especially European Jews, are a foreign implant, outsiders who have colonized and occupied native Arab land since 1948. All the reasonable arguments in the world and all the UN resolutions combined will not change the belief that Jews are thieves, occupying the land of millions of displaced Arabs. Is it fair that because the Europeans were guilt-ridden after the Holocaust and were kind enough to give the Jews a slice of the Middle East, the Arabs have to pay the price and suffer? Here lies one of the greatest failures of secular Zionism. Its philosophy did not possess the tools to instill within its children the moral foundations for calling Israel a Jewish homeland. If the Jewish people's connection to the soil between Jordan and the Mediterranean stems merely from Theodore Herzl's Zionist dream to give displaced and exiled Jews a national identity, endorsed by the 1917 Balfour Declaration and the 1947 United Nations' partition plan, their connection to the land remains fragile and ambiguous. When Palestinians scream “You are stealing our land,” and the international community thunders, “Stop the occupation,” we have lost the argument. Israel can scream all day, "we have the right to defend ourselves," but in the mind of the world we are defending ourselves while sitting on stolen land. Yet the critical point is missing. For 3300 years Jews breathed and lived with the conviction that the Creator of the world designated one piece of earth for them. Even in the most hellish moments of Jewish exile, the people of the Book clung to their faith that one day they would return to their divinely promised land. The only reason Jews returned from Odessa, Vilna and Warsaw to Israel was because of their passion and belief that the Creator of the heaven and earth chose to give his Holy Land to the children of Abraham Isaac and Jacob, as stated hundreds of times in the Bible. There are three billion people in the world who believe in the Bible, who live with the Bible and who quote the Bible. Secular Zionist should not have been afraid to bequeath this tradition and faith to their children, for this, and only this, is the moral justification for a Jewish presence in the Holy Land—in Jerusalem, Hebron, Tel Aviv, Haifa, and Gaza all the same. Paradoxically, it seems the world is waiting for this. Not only the Christian and Islamic world, who view the Bible as the definition of truth. Even the secular world, seems to respect Jews who respect themselves and their faith. The world is waiting for Israel to treat the Land the way Israel should be treated, as G-d's personal gift to the Jewish people. That is why the sages said that "Whoever did not mention the Covenant and the Torah in the blessing for the land did not fulfill his obligation." If our sense of gratitude and connection to the land is based on the divine Covenant with Abraham and the Torah, it will remain passionate, morally inspired and eternal. If not, our loyalty to our homeland hangs on a thread. The Talmudic sages keenly grasped that if the thankfulness of the Jew for the Land of Israel is not based on the covenant G-d crafted with Abraham some 3,700 years ago, and on the Torah, the 3,300-year-old blueprint for Jewish existence, we might one day feel unappreciative -- rather than grateful – for the homeland flowing with milk and honey. We might feel compelled to rid ourselves from it. The Talmud states (5), "Moses is the face of the sun; Joshua is the face of the moon." What is the symbolism behind this poetic statement? Moses represents Torah; Joshua embodies the Land of Israel. Moses gave us the Torah; Joshua gave us Israel. The light of the moon is beautiful, soothing, and romantic. Moonlight has inspired many an imagination and a heart. Yet the glow of the moon is merely a reflection of the sun. As long as the moon reflects the sun's glow, it casts upon the earth its own unique poetic luminescence; if the moon is separated from its source of light—as is the case in a lunar eclipse—it becomes a large chunk of dark and rocky matter. The relationship between Moses, the face of Torah, and Joshua, the face of Jewish statehood, is that of the sun and the moon. As long as Israel reflects Torah—its faith, its dreams and its passions—it is hard to find something more beautiful and inspiring. When Israel, however, ceases to see itself as a reflection of Torah, but rather as a secular national homeland for Jews, a member of the United Nations, it loses much of its inner glow and beauty. Its very identity and future is put into question. Every human needs a soul; every nation needs a soul. Even Israel. And the soul of the Jewish people for 4,000 years has been the Torah. We cannot afford to lose our soul now. Obama and the United Nations will get it—if we get it. 2) Thus, the first three blessings are biblically required. In the city of Yabneh, around 100 CE, the sages added a fourth blessing, thanking G-d for His kindness during the times of exile following the Roman destruction of Jerusalem (Talmud Berachos 48b).